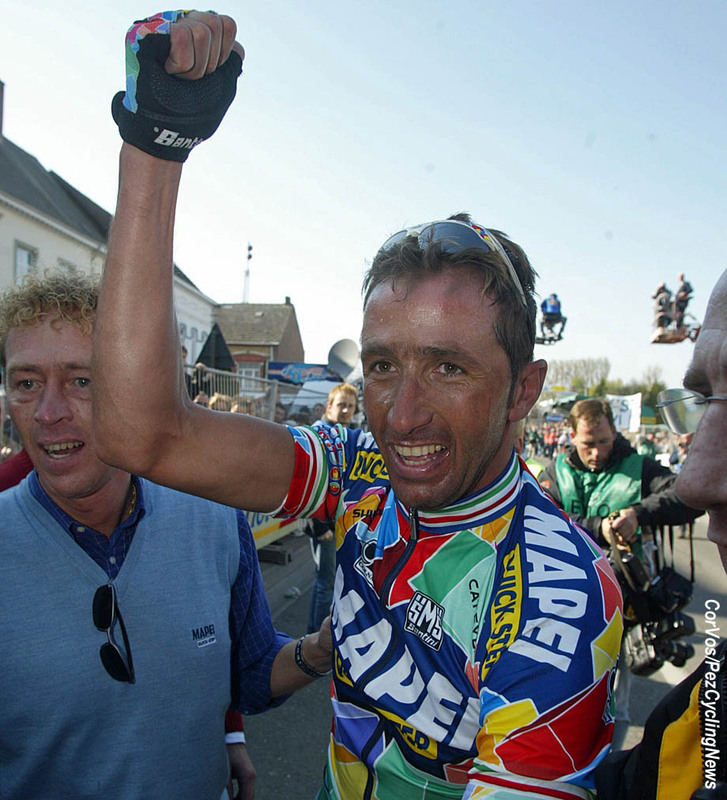 Retro Interview: With the announcement that Andrea Tafi is hoping ride the 2019 Paris-Roubaix at 52 years of age, we thought it a good idea to hear what the Italian three Monument winner had to say on the eve of his final season in the pro peloton back in 2005. 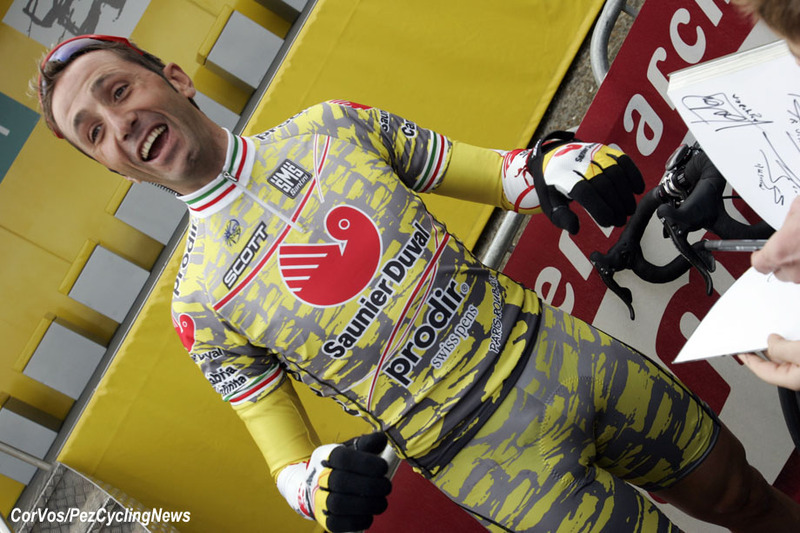 You can read of Andrea Tafi's Roubaix 2019 hopes in EUROTRASH Monday HERE. Nathan Deibert caught up with Andrea at the Saunier Duval-Prodir and Scott training camp in Estepona, Spain during the winter of 2004/2005. 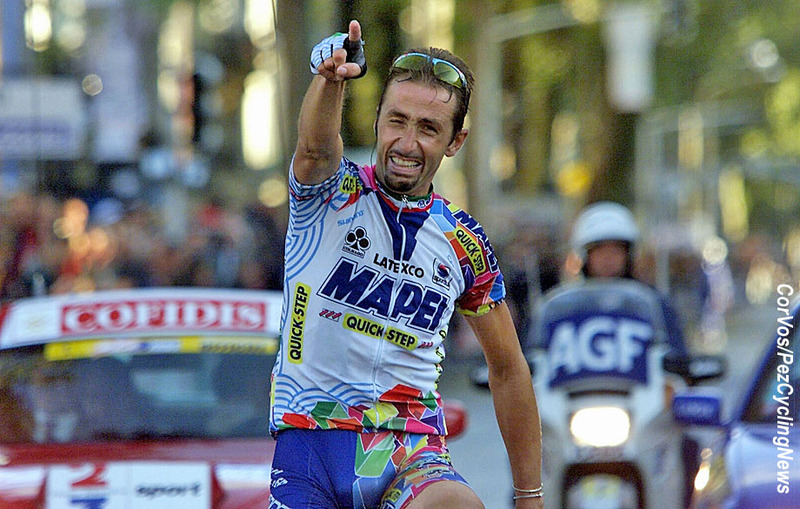 Tafi was 38 years old and the most veteran rider on the team, but you really wouldn’t know it except for his calm attitude and a clear idea of what he wants. So what did he want from his final season? Just like 2019, he wanted another Paris-Roubaix and it worked its way into everything he talks about. Tafi is obsessed with the cobbled Classic like a child waiting for Santa Claus. PEZ: Are you happy so far with your new team and teammates? Andrea Tafi: Yes, this is a very close team with a strong desire to win. The young riders want to learn as fast as possible and it is very important to have this motivation. Mauro and Matxin have put together a very good team although many don’t think it is that good. I think it will be a good team. PEZ: I’ve seen recently that you are talking about hanging up your bike after Paris-Roubaix. How did you arrive at this decision? Well, as they say, "In the morning the sun comes up and later at night it goes down." I’ve been a pro since ‘89. I thought about it like this, if 2004 is a good year then that would be it, but it was a bad year and I didn’t have the opportunity to do a good Paris-Roubaix. I had a muscular problem [points to his buttocks] and because of that, I couldn’t do a good race, as I wanted to. So, I told myself if I have the motivation to do a good race [Paris-Roubaix], and a good team that believes in my chances then I’ll give it one more try. After that then I can decide to stop or not. I’ve said it before, and I’ll say it again, for me to finish my career winning this race is maximum any racer can achieve. Afterwards, the possibility of going to the Tour of Georgia is because I’m thinking of our sponsors, for example Scott, who wants to do a lot in cycling and this would be very good publicity for them. Let’s hope it all works out this way. PEZ: So, you’re happy here and you like the Scott bike, but why Saunier Duval – Prodir? With all the teams out there, why are you here. I would have guessed you’d want to finish your career in an Italian team. Many people have said this to me but I think that most of the Italian teams don’t believe in my motivation and my capacity and this hurts me. However, when I spoke with Mauro Gianetti and Algeri [Italian DS at SD-Prodir] they told me that they liked me and that they believed in me. After that, I spoke with a smaller team but here I have a guaranteed chance to do Paris-Roubaix [thanks to the ProTour]. I told them the first time we talked that I want to be in your team if you want me and think I have a chance of doing a good Paris-Roubaix. I also think of helping the team by sharing my experience with the younger riders. I am at their disposition to share my experience and do it with much desire. 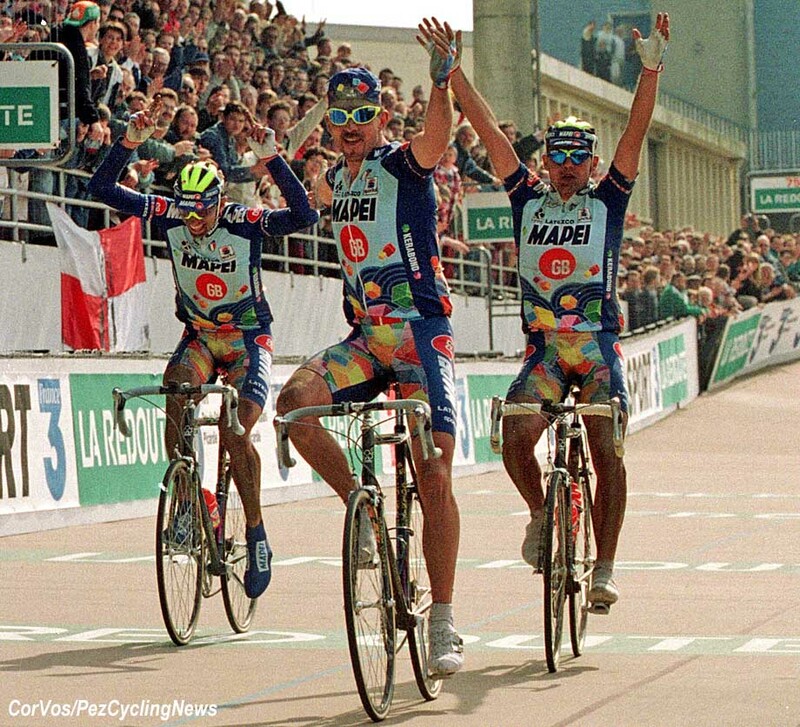 PEZ: During your time with Mapei you won a lot of races (Tafi interrupted to say “ALL” races). Do you think that the changes you made during the last two years have affected your results? No. 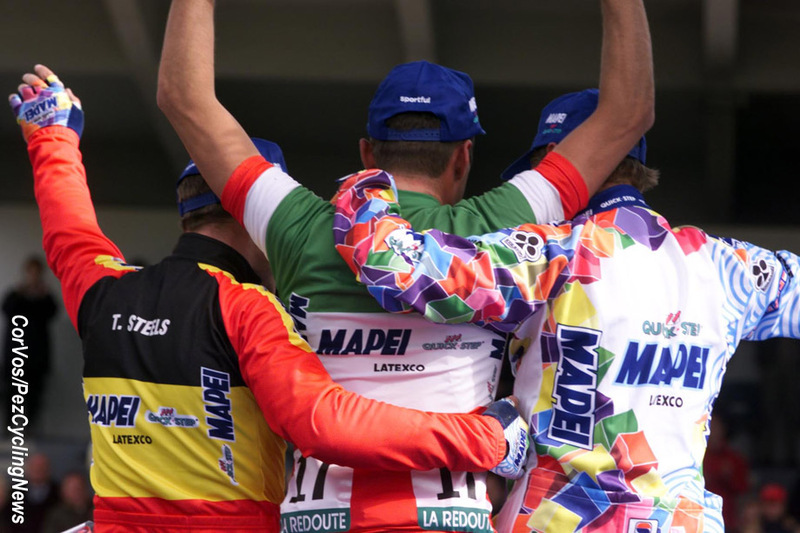 The years with Mapei [9 years] were fantastic. It was a team with a sponsor that loved cycling. It was a big team but a team where everyone could win. Later I went to CSC but they had a different mentality. At Mapei, a day didn’t go by that someone from the team didn’t call me to see how I was doing. This is very important because it gives you a greater sense of responsibility toward the team. At CSC, the idea was that you are a professional and you can do whatever you want. When I had a problem, I thought someone from the team would call me to talk but that never happened. I felt a little lost, I didn’t know what to do and last year was more of the same. I think that here this will not happen. Before coming to this camp, we were together in December in Santander [northern Spain] talking to the team directors. Then about 6 or 7 of us from the team went to the UCI track in Switzerland. We rode many laps of the track getting to know each other and watching to see how we could get better. After that, I could see in Algeri a true desire to do well this season and that feeling caught on with us. This is very important and I called him the next day to thank him and tell him that they had helped give me back my desire and motivation that I lost in the last two years. PEZ: Of all your victories, which is the best and why? 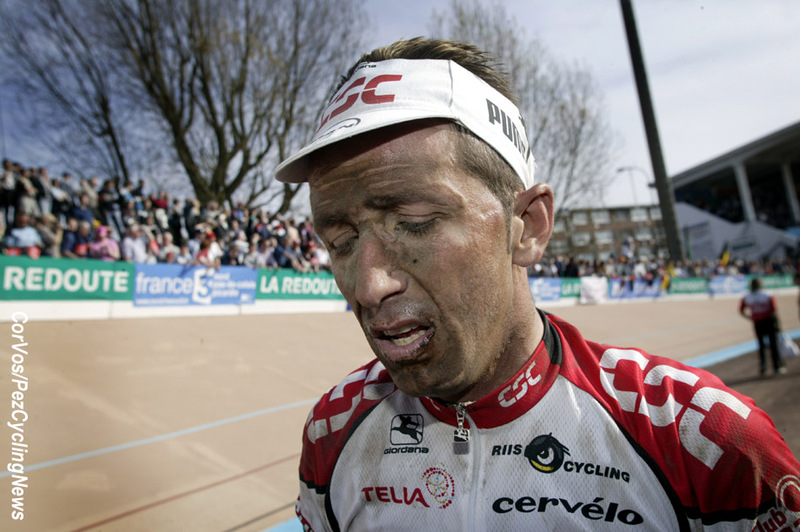 Roubaix is the victory that I dreamed about as a child. Watching TV and seeing Francisco Moser win the race I thought that someday I could be there and win it. Win the “maximum”, and to arrive at the track in Roubaix with the same jersey that Moser had, the champion of Italy, was such a strong emotional feeling. However my other victories are very important too, each of which has its own story. 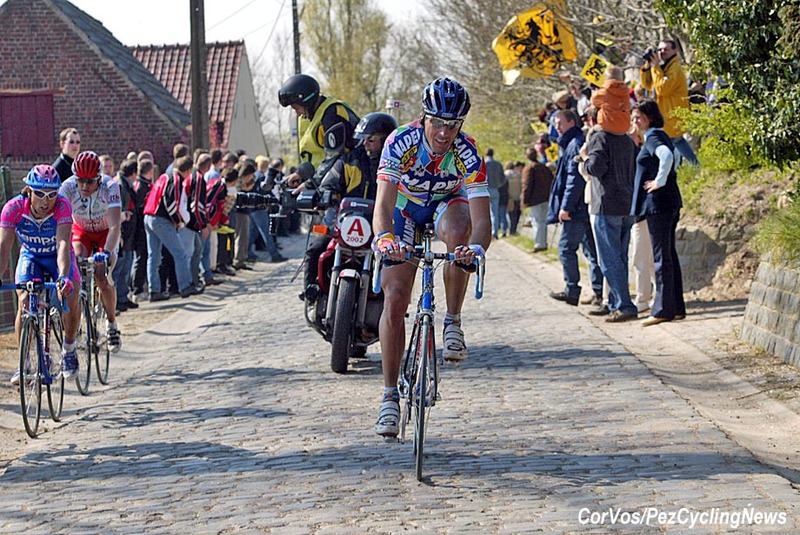 PEZ: The Tour of Flanders in 2002? I can see the finish in my head as we speak. Note: Tafi won solo from his break companions Museeuw, Hincapie, Nardello, and van Petegem, after hammering them with repeated attacks in the last 20km. The tactics in Flanders were the best. At first, I didn’t think I would win the race, not even that morning because we had Bartoli, Bettini, and others. However, later in the race little by little I was gaining confidence. Then the director spoke to me with about 30km to go. He asked me how I was. I said I was still feeling good, even though I had been following his orders to work for the others during the race. So he said, "If you’re feeling good, attack." I said, "Are you sure? If I attack, I’m going to win." It was an incredible experience. It was the first time I attacked and did not look back. When I saw the 2km banner I turned my head to look back because in the car behind me was Eddy Merckx and he said, "Tafone, you’ve won!" I think this is the base of my strength. All the races I’ve won, I’ve won like that, carrying my adversaries until they can’t go any more. If I’m in a group of 15 that is difficult and so if, I’m feeling good I’ll attack. Maybe I go once, then a second time, a third time, if I’m feeling good again and again until I get it. That is the key to everything for me. 1996: 1st Giro di Lombardia, 1st Paris–Brussels, 1st Giro del Lazio, 1st Trofeo Melinda, 1st Coppa Placci and 3rd Paris–Roubaix. 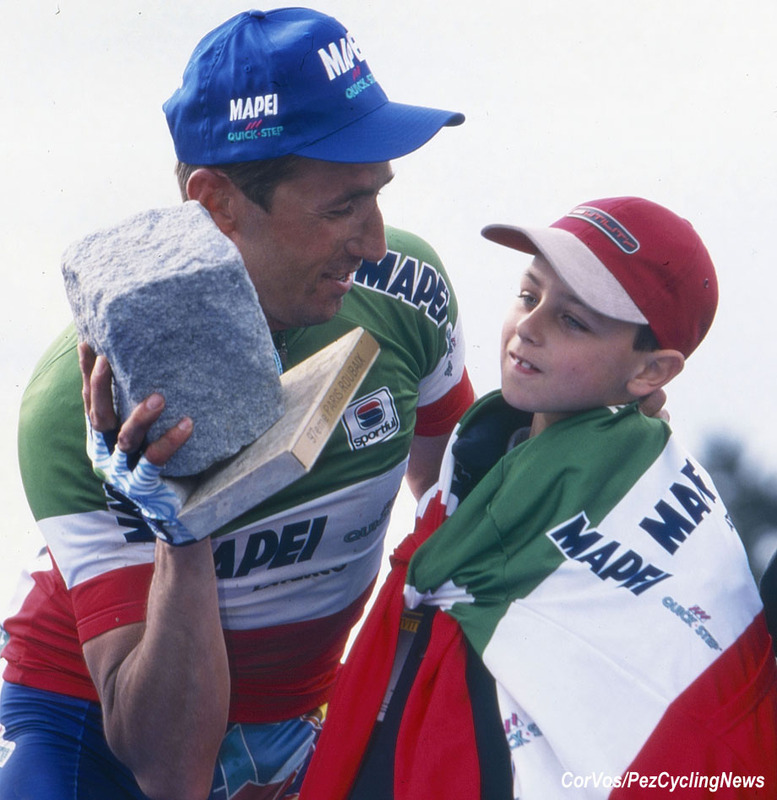 1998: 1st Italian National Road Championships, 1st Giro del Lazio, 1st Coppa Agostoni, 1st Gran Premio Città di Camaiore, 2nd Paris–Roubaix, 4th Clásica San Sebastián, 8th UCI World Road Championships and 10th Giro di Lombardia. 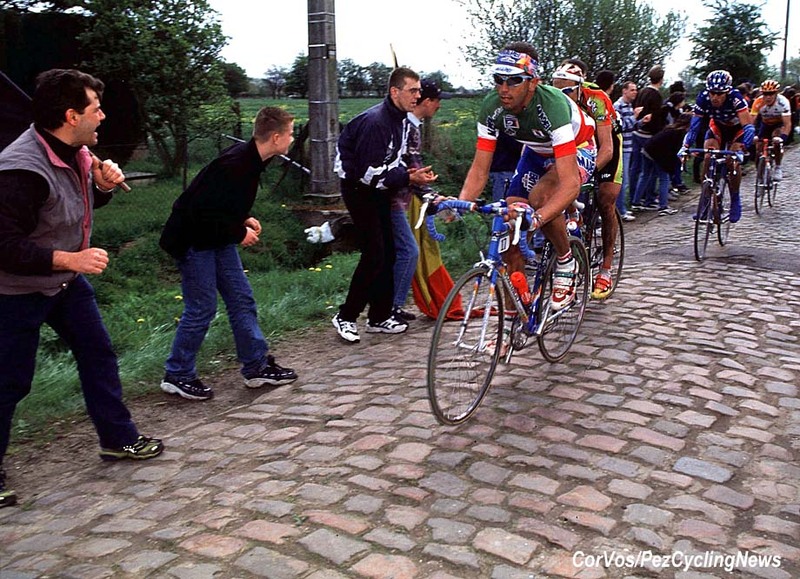 1999: 1st Paris–Roubaix and 1st Giro del Piemonte. 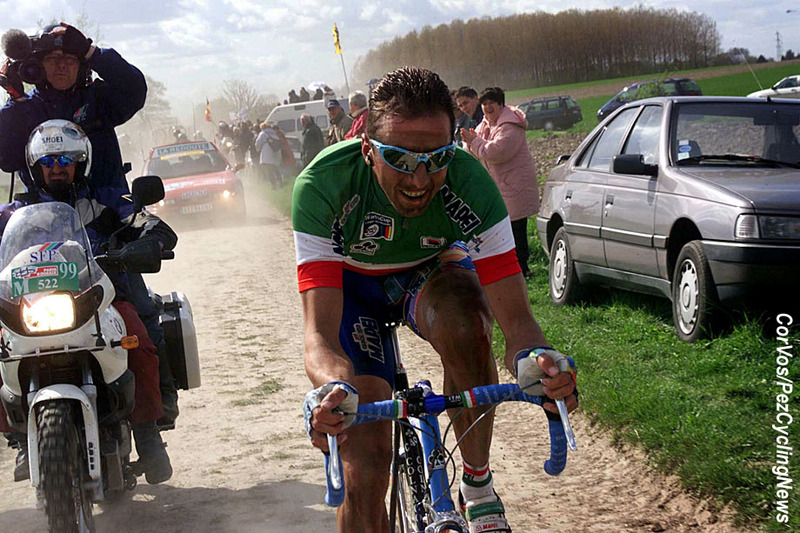 2000: 1st Paris–Tours and 10th Paris–Roubaix. 2002: 1st Tour of Flanders.